and having his own car. 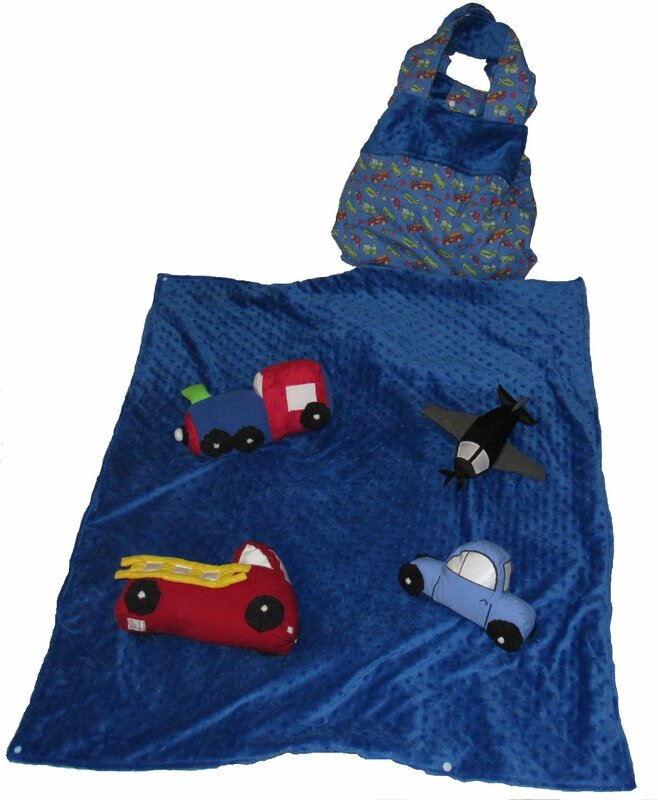 This play blanket gives that three to twelve month old boy a head start on his dreams. Each toy is made with cotton fabric and black YoYo wheels, and has their own noise: The plane crinkles, the train rattles, the Firetruck squeaks, and the Car giggles like a bell. Blanket mats are made of blue Minky and cotton print fabric.